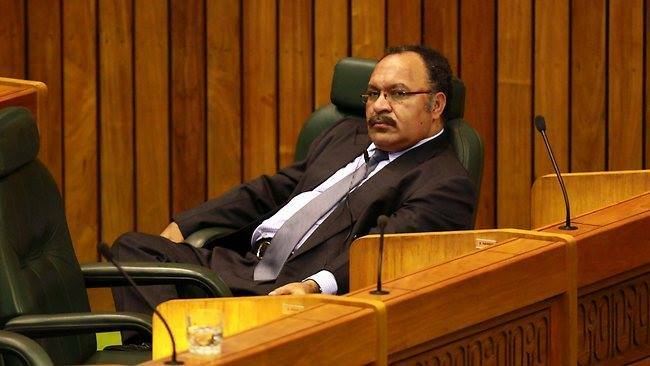 An urgent court application has been filed to restrain the Ialibu-Pangia Member elect, Peter O'Neill, from attending the Parliament sitting, tomorrow. This application by runner up Ialibu-Pangia candidate, Stanley Liria, was heard in the National Court, this morning, with a decision expected at 1.30, this afternoon. Represented by Queens Counsel, Greg Egan, Mr Liria sought orders to stop Mr O'Neill from attending the Parliament sitting, pending further orders of the court. Stanley Liria had asked the Court, to accord him the opportunity of enforcement of his rights, which he had claimed would be lost, if the court refuses his orders. Lawyer Tiffany Twivey representing Mr O'Neill submitted that Mr Liria can raise these issue in an election petition not in this court. She further asked the court to adjourned the matter to the registry pending determination of the legality of Sunday polling in the Supreme Court, which is the substantive matter.